How do you get a Go Admiral tech in your home! It’s easy! All you have to do is get in contact with us one of three ways; by filling out a form on our website, by calling, or by visiting one of our locations. In this blog, we can help you through all three and let you know what information you should have ready for us. Now that you’re here, we can get started. Let’s think about what you will need to know first. 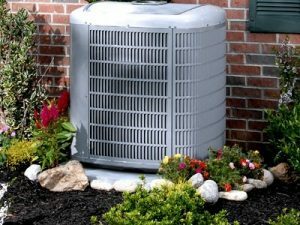 There is likely something wrong with your air conditioning or furnace, which lead you to us. That, or you’d like to talk to us about a regular service plan. Either way, you need a service. So, what is wrong? My HVAC system is not working at all! I think a part of my HVAC system is broken or missing. Potential electrical issues with my HVAC system. I need regular service and/or a standard tune-up. My HVAC system was installed incorrectly/given more issues by a technician. If your struggle sounds similar to or just like any of the statements above, Go Admiral can help. Why? Because we can fix all of the situations listed above! Our service is the best of the best. You can’t go wrong by contacting us. Now, let’s move onto the contact form. You can find our contact form on our website here. Listed are all the fields you need to fill out. And then of course, your message. Here, you may describe the help you need, what you think may be happening, and what your limitations are in terms of schedule or money. Before sending, you will click a captcha to verify you are not a robot. Then you are done! We will receive your message in our inbox and get back to you as soon as possible. If you would like to speak to someone sooner, you can call us! At Go Admiral, we have two phone numbers for our separate locations, one in Spring and one in Katy. The Spring number is (281) 876-9400 and the Katy number is (281) 706-8691. Either one will get you to immediately speak with one of our employees. They can answer some of your questions, take note of your situation, and dispatch a technician to visit your home immediately. If you prefer to speak in person, you can visit one of our two offices. That way, you can detail your problems in person, meet us and shake our hands, and schedule a visit from one of our technicians. Our two locations are listed here. As you can see, it’s easy to get in contact with us. Don’t hesitate! We are waiting to hear from you. Get a Go Admiral tech in your home today!